Former ‘home of the nodge’. 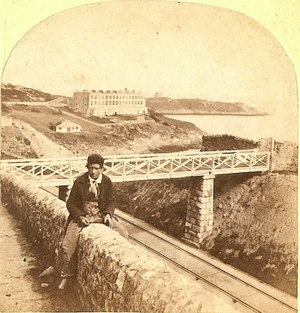 Castle Street, Dalkey , County Dublin. Dublin’s south side has a new destination for drinks and dining. 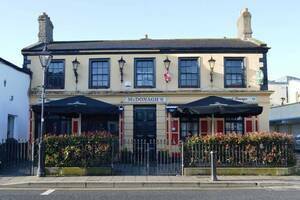 The Dalkey Duck, formerly McDonaghs’, on Dalkey’s Castle Street, has been fully refurbished to create an inviting restaurant, bar and live music venue. 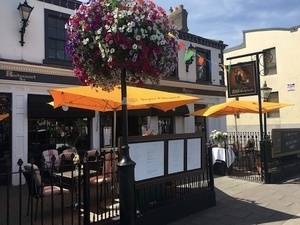 With a front terrace, snug, large bar, dining room and beautiful garden and terraces for al fresco entertaining, The Dalkey Duck is the latest venture by proprietor, Gary Whelan, an Irish actor known for his work on Ballykissangel, The Bill and Eastenders. 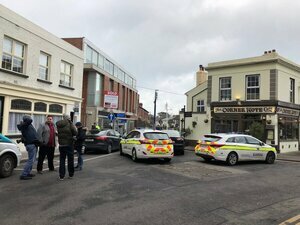 Posted in Misc and tagged Dalkey, McDonagh's at 10:55 am on July 26, 2018 by Bodger. ehhh..that gaff been open for months now? when i was a teenager, you’d head into mcdonaghs to buy hash. i don’t know if the duck sells it. It used to the place to go if you weren’t quite 18 yet… and wanted alcohol. Eddie Vedder and Johnny Depp (also maybe Slash?) both showed up there at various points in the 90s. They tried renaming a few years back, too and it reverted back to McDonagh’s. Dammit; my real identify has been disclosed; I shall have to create a new user..
It’s all organic sugar free hash cookies now.. It is however “genuine” artificial butter. Damn….Ad Block doesn’t seem to work on this advert. i have a load of stuff to sell, reckon i could just post it up here? It was the place I secured my first nodge of whatsit back in the day. This used to be my playground. For nodges. A nodge for Bodge etc. In fairness, it was a bit of a kip. There are kips in Dalkey? Alas, no longer, it would seem. Once had a very interesting evening on magic mushrooms in the Botanic House (Phibs/Glas) back in the day. It re-opened this week also, and also as a fancy restaurant. Tastes may have come along, but I look forward to trying it out again with a massive bag of the mountains’ psychedelic special. Hmm.. Broadsheet wants to be taken seriously as a news site but posts ads like this. Why? Whats with the English name?! Thought we ran those funts outta here. 800 years of hurt and what not…. It’s a stupid name alright but I like English pub names. The Slug and Lettuce. The Trout Inn. I get a bit bored of surname pubs. isnt ‘Finnegan’s’ the Sorrento Lounge? In England the pubs are owned by breweries, not families. In Dublin the pubs are owned by companies, corporations and conglomerates, not families. I’m sure there are plenty of others, but I can’t think of them off the top of my head. There must be more still that probably lost their old (non-family) names through habitual use over the years. The Kings Inn used to be Hogan’s. 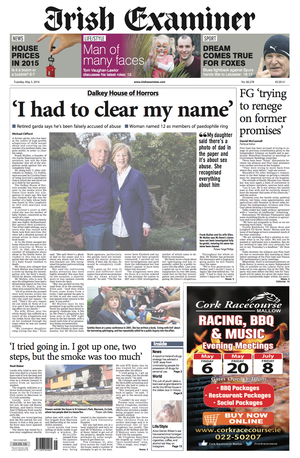 Also I think the name refers the King of Dalkey, rather than any English connotation. Some funts stayed and got jobs in our national broadcaster who paid them enormous salaries to allow them to grow roots in certain neighborhoods with funtist pub names and to generally keep the funtism going. Shop names in Dublin like ‘The Chelsea Drugstore’, ‘Bedford Stuy Barbers’ and this thing, http://imgur.com/22O4hTq, irk my republicanism. Heh. Retains the traditional warmth of a family-run Irish gastropub. Ah yes. I remember those days of yore, going to gastropubs in my youth for a pack a tayto and a bottle a TK. I remember fondly the stench of carvery later in the day in those family-run gastropubs. GERRUP DE YAAAAAAAARD will yeh? The whole idea of buying dinner in a pub, as opposed to an occasional toasted sandwich, is still something of an alien concept to me. The few pubs I knew that served food at home were old-fashioned coaching inns that usually had quite separate bar, lounge and restaurant sections. I must admit I avoided “Sunday carvery” type places. When I first went to England, the fact that the pubs seemed to depend on selling mediocre food as much as they did on serving drinks was as bizarre and unwelcome as the fruit machines in the corner. Now most of the pubs in Dublin seem to be at it. there are few things worse than getting nicely settled with a pint to find those next to you eating a big smelly dinner. it ruins everything. you go to the pub before your dinner, after your dinner or instead of your dinner. and that’s how it should stay. I couldn’t disagree more – I love that we have moved away from the bellyful of pints evening out to civilised pub suppers with the family. I’m a fan of the Basque style of wine/beer with pintxos – seems far healthier. Granted the Harvester and Wetherspoon chains in Britain won’t set the culinary world ablaze but their menus are so affordable and consistent. Those pesky fruit machines however belong in some disused warehouse – can o’petrol and a match. I think it is great that there are now so many more alternatives to the “bellyful of pints evening out”. What I dislike is palaces of pint-sinking tacking on rubbish food to their offerings. There has been an explosion in restaurants with family-friendly, casual service serving a variety of cuisines with good drinks at prices that compare favourably with any pub. Considering the quality of pub food as I have generally encountered it, at prices that are rarely a bargain, I can’t fathom why people would chose it over a mid-range restaurant for the sort of evening out you describe. Each to their own, I suppose. yes a silly name and when I hear gastropub in an Irish context I reach. Reach climax? That’s a bit OTT but whatever keeps you happy, dear. But avoid the tarter sauce – just to be on the safe side. I thought bodger spent all his time in West dublin seeking greater political participation from werking class wimmen. How much for a pint of plain? €17.50 per pint? Sounds good. I’ll have three, please! Paid that for a haircut yesterday…still ragin’!! Try getting a haircut as a woman. Friggin’ disgrace. Not even a newspaper to read either. When the original McDonagh family sold up, it was taken over by some Ferrari-driving Tiger entrepreneurs who spent massive money redeveloping the place into something not unlike Tony Montana’s gaf in Scarface…then promptly ran it into the ground. At the time, newly named “Ivory” was so awash with cocaine the management used to have to smear vaseline over all the surfaces in the cubicles. A different time.